Giveaway! 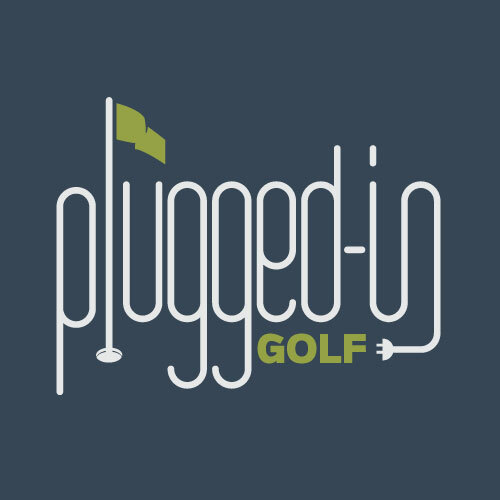 Win a Laser Putt! In spite of the efforts of the world’s best putter makes, the average golfer doesn’t aim his putter correctly. He thinks he does, but all the testing tells us that he’s wrong. This is exactly the problem that Laser Putt seeks to solve. This simple training aid is designed to fix your aim and alignment which should translate to making more putts. Attaching the Laser Putt to the putter is easy and takes only a couple seconds. Getting it aligned properly doesn’t take long either, assuming that you have the Calibration Mat. Where it gets slightly more difficult is in knowing what to do with it: Laser Putt is not the kind of aid that you instinctively know how to use. That said, Laser Putt offers a couple ways to figure it out. Included with the Laser Putt is a well-written User’s Guide that lays out the two main functions of Laser Putt. 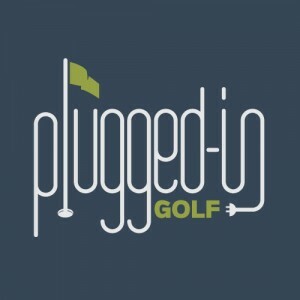 Alternately, you can go to the Laser Putt website and watch the videos. While there are many possible ways to use Laser Putt, I’m going to focus on what I see as the two primary functions: improving alignment and learning distance control. The Laser Putt is extremely effective at improving the way you aim the putter. Once you set the green laser perpendicular to the putter face, you have a way to check your alignment at the push of a button. While I personally prefer to putt with the laser off, I liked having a way to verify my aim before I made a stroke. To start, I really like what Laser Putt teaches with regard to distance control: the length of the stroke should determine the distance that you hit the putt. To teach this idea, Laser Putt has a red laser dot that you can set at various distances in front of the ball. Once you set the laser, you take the putter back until the laser hits the ball, and then make your down stroke. The idea is that you will learn, through charting putts in the Putting Data Log, what distance of putt each stroke length correlates to. My one concern about this feature is whether or not the skill will translate to putting without the laser. I found that when I used it, I was focused on the visual cue of the red laser instead of internalizing the feel of a certain stroke length. In spite of that concern, I think the concept is sound and could help get golfers away from the notion of hitting long putts harder with the same stroke length. Overall, I see the Laser Putt as something that you might take out once or twice a season for a few days at a time. It’s certainly convenient enough to live in your bag and use more regularly, but checking your alignment isn’t that much fun, even with a laser. I do think that there’s value in using the Laser Putt regularly, but this section is meant to reflect how I think the average golfer will use this training aid. Sold through the Laser Putt website, the Laser Putt carries an MSRP of $157. They are currently running a launch special of $109 with free shipping. The launch special price puts the Laser Putt right around the average price for a training aid. At that price, I think it’s something that serious players need to consider adding to their kit. This standard price puts the Laser Putt at one and a half times the average price of a training aid (I assume the average to be about $100). While I appreciate that a lot goes into making the Laser Putt (they use the strongest commercially-legal lasers), I do think that the price will be too high for many golfers to stomach. One group that I think would get good Value out of the Laser Putt is teaching professionals. The difference between telling someone that their aim is poor and showing them (with a laser!) is HUGE, and would result not only in better student performance, but also more putting lessons. I think Laser Putt is a unique putting aid that can help a lot of people to improve their aim and develop better distance control. I do think the price will be a stumbling block for many people, especially recreational golfers who don’t practice putting very often anyway. However, for serious golfers who appreciate the importance of being perfectly dialed in on the green, the Laser Putt may prove to be a must have. 1. Post a comment below telling us why you need Laser Putt. Get additional entries for RTing our tweets about this contest or sharing our Facebook statuses. I could always use some help with putting. This tool looks like a great idea and would be really helpful. I need all the help I can get with my putting. Looks quite interesting. This would finally help me understand if I put a bad stroke on the ball or if I’m actually aiming wrong. Seems like a great way to pass the time in the winter months of MN as well! I didn’t qualify for my high school state tournament this year because I lost all confidence with my putter, specifically alignment. I didn’t qualify for my high school state tournament because I lost all confidence in my putter, specifically my alignment. It’s an interesting concept, because it combines both aim and distance, which is the flaw in most putting aids. I agree with your contention that you may be too focused on the “beam” when practicing distance. I suspect that with sufficient practice, you’re likely to forget about concentrating on the beam and potentially develop more “feel”. Not an inexpensive tool for the average golfer! I just visited the LaserPutt website and watched their video … I need this! I think I misunderstood the device’s sophistication when I first read your review. What I find particularly interesting and something I think would benefit me, is the way the Laser displays backward and forward. Way too often I “loop” the putter a going back and occasionally get way too inside. This is the only laser device I’ve ever seen, which emits a beam forward and backward. It’s tough maintaining a 5 handicap while averaging 34-35 putts per round, I need this! After watching the first video on the website I was thrilled…. but then the other videos showed how to really put the lasers to work. I would LOVE to be able to track golf balls into the hole like that. It would help me sink some important putts in upcoming tournaments! When golfing with my family, I always make a mark to try to get my ball to make it right into the hole. With this I’d have a better chance for sure. Would love to test it out. In teaching my daughter to putt, I have often wished I could get in her head and understand where she was aiming. Now, with this device, I can! This would be a great teaching aid for not only aim but also stroke consistency. Even I would benefit from the later, and look forward to trying it out before some upcoming rounds of golf with some intimidating competition! I should have used this device seven years ago and maybe i would not have thrown my putter over the fence at Kikusui! 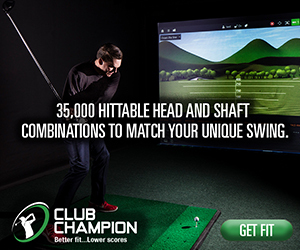 Looks like a good tool to train the back and forth movement and distance too! Nice job! I have had the good fortune to actually spend 6 months with the prototype of Laser Putt. As I’m sure you know, the lower your handicap gets, the harder it is to shave strokes. And, as you can imagine, any strokes shaved at that level are almost entirely putts. Gaining confidence is everything and any aid that can get me to scratch becomes that more valuable. Personally, I still believe lessons are a better investment than a training aid and definitely better than a new putter. I’ve never been one to shell out for aids. I find them gimmicky. But, Laser Putt is worth the money because the concept is elegantly simple and…IT WOrKs!! I was a 8.5 when I first used LP and now I play off 3.3. The alignment element, which this reviewer glossed over, is what I found most valuable. The alignment guide gets you thinking about the critical hitting zone in front of, through and past the ball. I found the red distance laser to be very helpful in the beginning, but less transferable to the course as how far a 6 inch takeaway will roll depends on too many factors. The alignment. Element however ingrains a pure strike with the center of the putter face, which means, if you read the green properly you will make more putts regardless of speed. You certainly will not miss any short putts. If you are like me and hate to part with a hard earned dollar for a training aid, make this the only one you buy and get your money back from your buddies. I tried out a prototype, and within a few practice strokes was hitting the ball straight and true. My stroke was also unbelievably consistent. Can’t wait to get my hands on the real thing and see my putts per round start to drop! Saw this being tested in japan at a driving range. The Japanese pros were wowed. The path of the ball was fun to see as it moved along the laser! Even in bright lights it was easy to see so I am thinking early AM or late PM or in the shadows it would be an even bigger plus! This tool should help you to identify when you are aiming incorrectly vs. when you are hitting the ball incorrectly. If you are aiming correctly, based on the laser, and still missing, then look someplace else for the problem. Price point is pretty steep for me. I can dig the concept but think I would ditch it after a while. Count me out of this one. Good Luck to the rest of you!! Keep up the good work PluggedIn!! I am waiting on a sweet new custom putter that I won’t be familiar with, this will help enormously. Don’t want to waste strokes with a putter that is above my game level! I need this because all winter long I work on my putting from 10 feet and in on a putting mat that I have. This could be a great tool to help me work on my alignment and this way I can use my practice time as effectively as possible! As I mentioned before I like the product. I will be upgrading my site and will be adding product this winter and am looking forward to considering either an affiliate relationship for Canada. Is there somewhere I can see this in action in Toronto. Being that the winter is coming, spending time indoors to help maintain a short game and lower scores is a must! This looks like it would do the trick and help pass time until all the courses open again. I need this because I’m a putter ho who struggles with putting! Congratulations to Jeff Yonis on winning the Laser Putt! I was also lucky enough to use a prototype and I couldn’t believe how bad my putting stroke was before using it. Easy to attach to your putter and with a laser on the front and back, you can see your backstroke and follow through after impact. This device helps you keep your putter aligned through all stages of your swing so you can adjust your feet, hands and shoulders to give you a nice smooth swing for any distance. I now putt with more confidence. brilliant concept, simple but easily effective.boom! short game sorted! thanks! I’m in desperate need of putter alignment and stroke. I tried putting one of those half balls and kept flipping the ball over! Dear sirs my name is willie mckenzie I am a certified 4 elements putting instructor ,I use the eyeline putting aids in all of my putting lessons as I consider them to be the best teaching /training aids on the market and I recommend them to all of my students and most of them make a purchase of the eyeline products to help them improve. Definitely i need it to improve my putting skill. So many putters in my garage which are sleeping. I realized now it’s not a putter problem but the aiming & stroke skill. I can not imagine how many strokes would go down with this laser putt. It’s not easy to find in a shop in UK here. I have difficulty aiming everything from putts to my driver. It is especially aggravating for me because my left eye was injured in an explosion about 10 years ago. My death perception is poor and so is my putting alignment. I hit many puts that go right where I was aiming, but not in the hole. I have tried picking a spot on the ground in front of the ball and using lines drawn on the ball. The lines work the best, but it is difficult to precisely line up the ball lines and takes time to accomplish. I even designed and made my own putter in an effort to improve my putting. This laser might help to retrain my good eye. I three putt three greens yesterday and shot an 80. I could easily have broken 80 if I could putt better. I think I need a Laser Putt. A golf pro showed how to use the Laser Putt and it had me sold. I’m both a visual and “feel” kind of learner, and seeing the laser dot appeals to my need for a guide. But in time, I believe the feel of a correct putt will grow with each use. Alignment is one of my biggest issues, along with hitting the ball square at impact. The Laser Putt can help with both. And for an affordable price, I’ll get it. Laser Putt looks like a good idea. The question is .. Would I achieve enough success with Laser Putt to give a ringing endorsement to others ? I currently see way too many 3 putts and would like to see that number go down. I’d be happy to tell others that this works.